If you're a chocoholic (like me) it'll be hard to resist this recipe for Double Chocolate Cookies. It combines Ghirardelli bittersweet and semisweet chocolate chips perfectly. The dough will be quite soft after mixing, so be prepared to refrigerate it for at least one hour. But don't worry, the anticipation is half the fun. You've probably seen dark chocolate a lot and you may or may not be aware that it is synonymous with semisweet chocolate. Bittersweet is the same as extra dark chocolate. You've also probably seen 60% or 70% cacao labels on some finer chocolate. This percentage refers to the cacao content (anything derived from the cocoa bean) versus the remaining ingredients like sugar and vanilla. 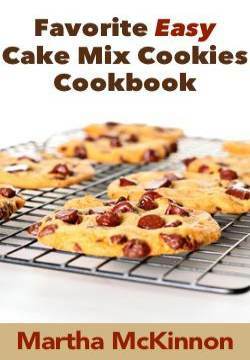 So in this chocolate cookie recipe, you'll want to use 60% Cacao Bittersweet Chocolate Chips from Ghirardelli which means that 60% of the chocolate comes from cocoa butter and chocolate liquor from teh cocoa bean and the other 40% will be sugar, vanilla and other ingredients. The highest possible content is 100% cacao and this is an unsweetened chocolate bar used for baking and will be very bitter because no sugar has been added. In the top of a double boiler, or using a heatproof bowl over barely simmering water, melt the bittersweet chocolate chips and butter, stirring occasionally until smooth. In a large mixing bowl beat the eggs and sugar with an electric mixer until thick. Stir the melted chocolate mixture into the egg mixture. In a small bowl, stir together the flour and baking powder. Stir the flour mixture into the chocolate mixture until combined. Gently stir in the semisweet chocolate chips and chopped walnuts. Divide the dough into two equal halves and roll each piece into a log about 8 inches long and 2 inches in diameter. When you are ready to bake your cookies, position one oven rack in the middle of your oven and preheat the oven to 375F degrees. Line cookie sheets with parchment paper and set aside. Alternatively set aside lightly greased cookie sheets. Unwrap the cookie dough logs and using a sharp knife, cut dough into 3/4-inch thick slices, rotating the log as you cut so it maintains it's round shape and doesn't flatten out on one side. Place slices of cookie dough on prepared cookie sheets, at least 2 inches apart. 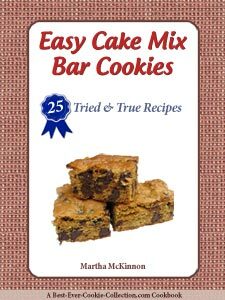 Bake, one cookie sheet at a time, 12 to 14 minutes, until a shiny crust forms on top of the cookies but they remain soft inside. This recipe yields about 24 Ultimate Double Chocolate Cookies. 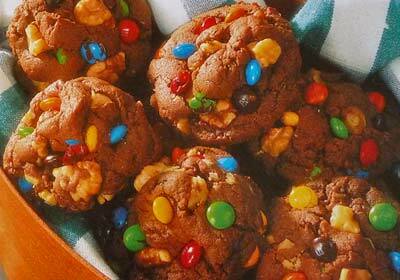 This easy chocolate cooke recipe is dressed up with chopped walnuts and Mini M&M baking bits. Preheat oven to 350F degrees. Lightly grease cookie sheets or line with silicone liners and set aside. In a large mixing bowl, cream together butter, granulated sugar and brown sugar until light and fluffy. 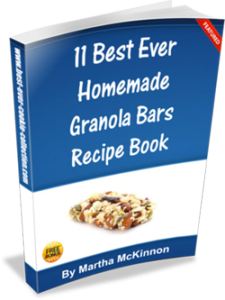 In a medium bowl, stir together flour, cocoa powder, baking soda and salt. Combine dry mixture into creamed mixture. Stir in M&M's and chopped walnuts. Drop dough by heaping tablespoonfuls about 2 inches apart onto prepared cookie sheet. For chewier cookies, bake about 12 to 14 minutes. For crispy cookies, bake about 14 to 16 minutes. 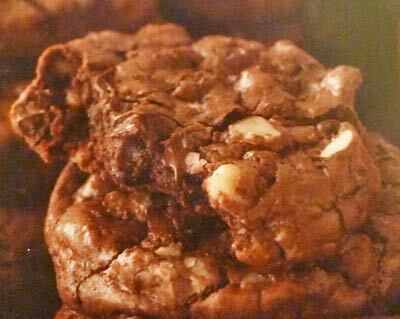 This recipe makes about 4 dozen Double Chocolate Walnuts Cookies.